Cut boiled briskets as you wish, dice cheese, peel apple, also dice it, cut celery the same way. 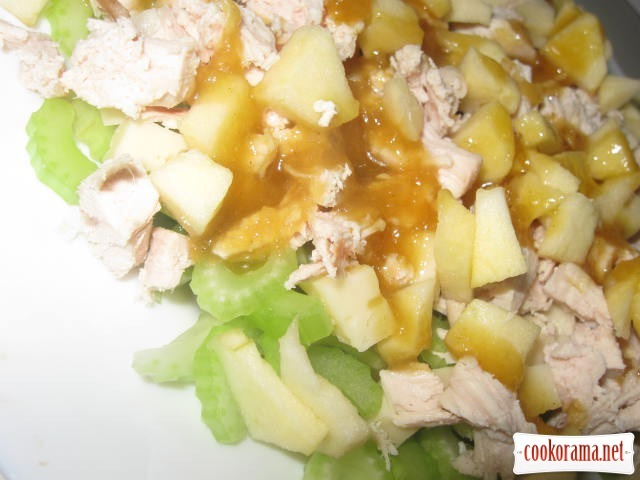 Spread on dish celery and apple, top with chicken and cheese. Stir honey and mustard, gradually pour oil, bring seasoning to the desired consistency. Pour salad with dressing.Stir before using. 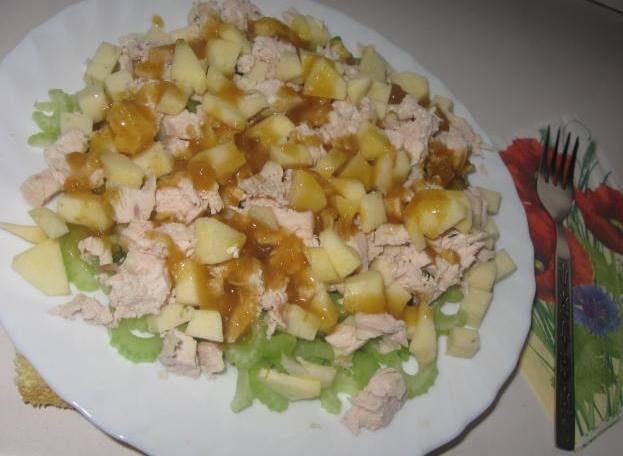 Top of recipe "Salad of celery and chicken"